How is Maintenance for a Wife and Children decided by the Court in Singapore? Maintenance is financial support that a child, wife or incapacitated husband can apply to the Courts in Singapore for once neglect or refusal to provide reasonable maintenance has been proved. This is provided for in Part VIII of the Women’s Charter. In divorce proceedings, maintenance also forms part of the ancillary matters to be decided. Maintenance will have to be decided for the children, wife or incapacitated husband, and this is a matter separate from asking for the division of matrimonial assets. The Women’s Charter stipulates a statutory duty for parents to maintain their children, whether legitimate or not. Therefore, if a parent neglects or refuses to provide adequate support for a child, the child can apply for a maintenance order for the parent to pay a monthly allowance or a lump sum. Child maintenance is available for persons up to the age of 21. Children above 21 years will only be granted maintenance if the court is satisfied that the child still needs maintenance due to mental or physical disability, national service, education or special circumstances. The law also provides that where someone has accepted a child who is not their offspring into his family, the person has a duty to maintain the child and orders can be made for that person to give child maintenance if necessary. This obligation ceases if the child’s biological parents take the child away. Similarly, a duty is also owed to a wife where her husband has neglected or refused to provide reasonable support for her. If it has been proved that neglect or refusal is present, the Courts may order that the husband pay a monthly maintenance or a lump sum. Under Section 113 of the Women’s Charter, there is also a legal duty to provide maintenance to an ex-wife. Only one such application may be made upon termination of marriage and if such an application is dismissed by the court, no further applications will be entertained. A husband cannot apply for a maintenance order, unless he is incapacitated. If a wife neglects or refuses to support an incapacitated husband, he will be able to make an application for a maintenance order. 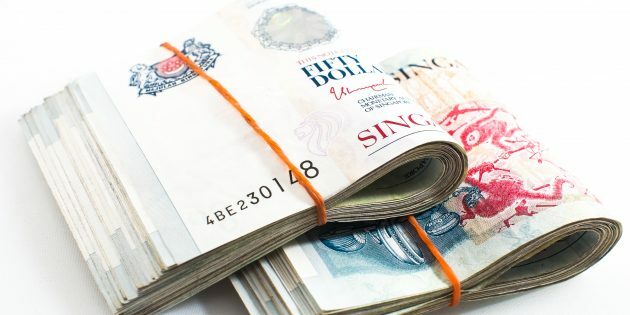 What Amounts are Usually Given for Maintenance in Singapore? Usually, an expense table will have to be submitted for the court to be satisfied that the amount being claimed is necessary and reasonable. In divorce proceedings, a wife may decide that she does not want maintenance from her formal husband. However, it is advisable for wives to ask for nominal maintenance rather than to ask for no order of maintenance. This is to ensure that the wife can still make an application in the future to receive maintenance from the ex-husband, by way of a variation of maintenance order, should her circumstances change. The Court of Appeal has clarified that an ex-wife can no longer ask for maintenance if the Court made no order for maintenance during the divorce proceedings, as it essentially means a rejection of an application for maintenance. Therefore, unless a wife is absolutely certain that she does not want maintenance from her ex-husband, a nominal amount of $1 should be requested. However, it is not a guarantee that the Singapore Courts will grant this, and there has indeed been direction that the Court will take into account the circumstances of each individual case and not grant nominal maintenance in every request. It can be distressing if you do not receive maintenance despite the award of a maintenance order. Section 71 of Women’s Charter provides that when a minimum of one payment fails to be made, the person receiving maintenance can apply to the Court to enforce the maintenance order. A lawyer is not needed for you to apply to for the maintenance order to be enforced. 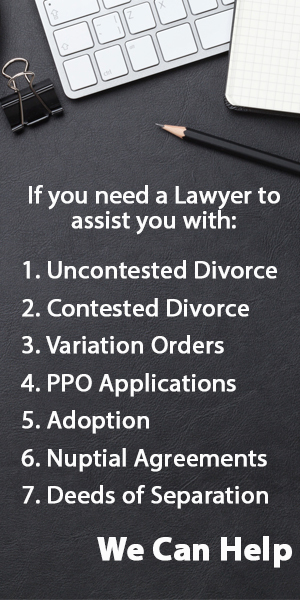 However, a lawyer can be engaged to represent you at the hearing if you deem it necessary. The Women’s Charter has been amended to impose harsher penalties against defaulters, and implement more safeguards for the person receiving maintenance. For example, the defaulter may be liable to fines, imprisonment, community service or financial counselling. A material change, which cannot be self-inflicted, would include situations where a party is now unemployed, or the party who was previously in financial difficulty, has obtained gainful employment, or received a sum of money. Changes in social circumstances such as remarrying can be a reason for varying maintenance orders as well.